236 pages | 10 Color Illus. | 1 B/W Illus. Advances in technology have enabled animators and video game designers to design increasingly realistic, human-like characters in animation and games. Although it was intended that this increased realism would allow viewers to appreciate the emotional state of characters, research has shown that audiences often have a negative reaction as the human likeness of a character increases. This phenomenon, known as the Uncanny Valley, has become a benchmark for measuring if a character is believably realistic and authentically human like. This book is an essential guide on how to overcome the Uncanny Valley phenomenon when designing human-like characters in digital applications. In this book, the author provides a synopsis of literature about the Uncanny Valley phenomenon and explains how it was introduced into contemporary thought. She then presents her theories on its possible psychological causes based on a series of empirical studies. The book focuses on how aspects of facial expression and speech can be manipulated to overcome the Uncanny Valley in character design. The Uncanny Valley in Games and Animation presents a novel theory that goes beyond previous research in that the cause of the Uncanny Valley is based on a perceived lack of empathy in a character. This book makes an original, scholarly contribution to our current understanding of the Uncanny Valley phenomenon and fills a gap in the literature by assessing the biological and social roots of the Uncanny Valley and its implications for computer-graphics animation. 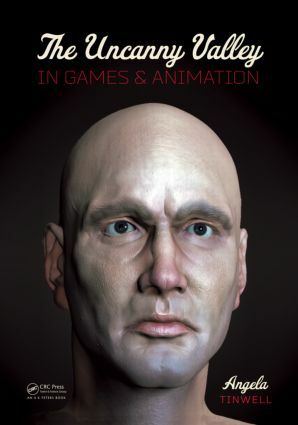 "It synthesizes the literature about the Uncanny Valley, explains its psychological foundations, and considers how facial expression and other facets can be applied to overcome the issues, and it also provides a new theory to compliment other writings on the subject, making this a 'must' for gaming programmers, covering both prior surveys and new ideas." An Evolutionary or Developmental Phenomenon? Do We All Experience the Uncanny in Human-Like Characters? Will We Ever Overcome the Uncanny Valley? Overcoming the Uncanny: A Question of Time? Dr. Angela Tinwell's research on the Uncanny Valley in human-like characters is recognized at an international level. As well as British media coverage on BBC television and radio, her work has been featured in news articles for The Guardian and Times Higher Education and in the American magazines Smithsonian, New Yorker, and IEEE Spectrum Magazine. In 2012, Tinwell completed her PhD dissertation, titled "Viewer Perception of Facial Expression and Speech and the Uncanny Valley in Human-Like Virtual Characters," and she has since published extensive studies on the topic. Her publications include empirical studies in the journal Computers in Human Behavior and theoretical writings for Oxford University Press. Tinwell's research into the Uncanny Valley in human-like characters is relevant in academia and industry, and she has presented her work with animators from the special effects company Framestore at the London Science Museum. As part of the Digital Human League, Tinwell is working with visual effects professionals at Chaos Group (creators of V-Ray rendering software) aimed at overcoming the Uncanny Valley.